Former premier Shinzo Abe and the LDP scored a landslide, but can they deliver on campaign promises? 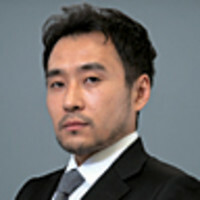 Takashi Yokota reports. Japan has done away with its sixth premier in the past six years, as the electorate tossed Prime Minister Yoshihiko Noda and his Democratic Party of Japan (DPJ) out of power in Sunday’s elections. It was a chaotic election—a record 12 parties contested for seats in the lower house of Parliament. But in the end, the conservative opposition Liberal Democratic Party—which ruled the country for more than a half century before ousted from power three years ago—won by a huge margin. In contrast, the Democrats have become a significantly reduced force, losing three quarters of the seats they had prior to the election. Parliament is expected to elect a new prime minister next week. That man would be Shinzo Abe, the former prime minister who started Japan’s vicious merry-go-round of leaders five years ago. Back in 2007, Abe left his countrymen in disbelief when he abruptly threw in the towel after serving only a year in office. During his brief stint as prime minister, Abe quickly squandered his popularity by backtracking on reforms, as well as being ensnared by petty scandal among his cabinet members. Now the 58-year-old former premier claims that he’s a changed man who can “build a strong and prosperous Japan” and “restore political stability.” On the campaign trail, the conservative leader claimed he will fight deflation and resurrect Japan’s foundering economy by initiating an unlimited quantitative-easing program until the annual inflation rate hits 2 percent. On matters of foreign policy and defense, Abe, a conservative stalwart, promises to amend Japan’s pacifist Constitution so it can have a proper military, as well as boost military spending to better defend its territory, in light of the recent territorial tussle with China over the Senkaku Islands (which the Chinese call the Diaoyu Islands). Abe, widely known as a nationalist, is causing much consternation among neighbors, namely China and South Korea. Yet his track record as prime minister suggests he will tone down his hawkish rhetoric and try to restore the soured relations with China and South Korea. In 2006 one of Abe’s first acts as prime minister was to mend the frayed relations with Beijing and Seoul, which deteriorated during the rule of his predecessor, Junichiro Koizumi, who angered the Chinese and Koreans by visiting the controversial Yasukuni Shrine, which commemorates Japan’s war dead, including those from the Second World War. Abe and his fellow LDP politicians claim they’ve repented and learned from their past mistakes after spending three years in disgrace as the opposition. They say they can do a better job than the Democrats, who were incapable of delivering on almost any of the ambitious promises they made back in 2009, such as expanding welfare to children and reforming a political system in which bureaucrats—rather than elected officials—call the shots. Abe claims that the Democrats—a party that was a hodgepodge of conservatives and socialists and full of political freshmen—wrecked Japan’s already shrinking economy and mishandled the recovery efforts from last year’s earthquake-tsunami-nuclear triple disaster. Upper-house elections slated for next July will be a key to determining how much room Abe and his party will have to maneuver. The LDP doesn’t have control of the upper house and will therefore face some difficulty passing legislation next year. Having secured two thirds of the seats in the lower house with coalition partner New Komeito, the LDP technically is able to pass legislation even in event of a veto in the upper chamber of Parliament—the two-thirds majority provides override power. But that’s technically. In reality, should the LDP attempt to ram through legislation, it surely will meet by fierce criticism that it is of being “undemocratic”—hardly something you want to be called before a key upper-house election. As a result, the party is likely to keep a relatively low profile and avoid political risks—especially given that the opposition will likely go into attack mode, given the next national elections looming. Furthermore, the LDP has lost many of its heavyweight politicians in recent years. Abe claims the party is “full of talent,” but the fact is that almost half of its candidates in the lower-house election were running for office for the first time. There’s only one politician with prior cabinet experience in Abe’s “shadow cabinet,” and many others are only first-term pols. The LDP lost many of its veteran pols in recent years; some retired, but many others defected to form splinter parties. In spite of their image as bland, geriatric pols, the party elders gave the LDP a sense political heft. Bereft of such experienced backroom operators, the party has now turned into an outfit somewhat similar to what the DPJ was three years ago: young and inexperienced. It may be that the LDP has won too big. Japanese voters have a tendency to swing in favor of the opposition following a landslide election, and the LDP could face an uphill battle in next summer’s upper-house vote. Should Abe fail to secure a majority in the upper chamber, he could become the seventh prime minister to call it quits in seven years.